By Ross Leahy | May 11, 2010. 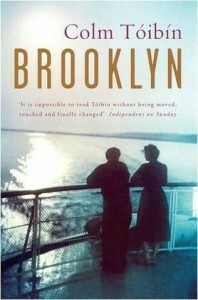 Book cover for Colm Toíbín's Brooklyn. Brooklyn, Colm Toíbín’s latest work, follows the story of Eilis Lacey as she emigrates from 1950s Ireland to New York. Although Eilis initially experiences homesickness, she eventually finds love and comfort in New York. Just as she has settled in New York, she is forced to return to Ireland when tragedy strikes her family. While back in Ireland she faces a dilemma – to return to the big city and her new love, or to remain in her native Ireland? For such an established author, who has been highly praised and recognised, this, Toíbín’s latest novel, falls short. 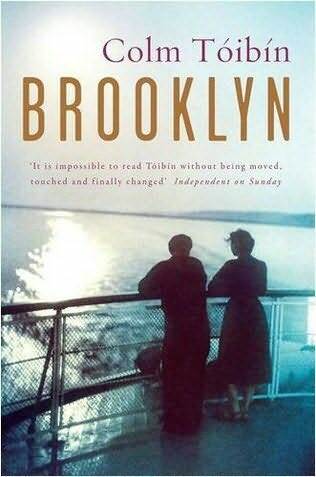 Although Brooklyn won the 2009 Costa novel award, Toíbín never gives the reader a real impression of 1950s New York. He skips the part where Eilis would have seen the New York skyline for the first time, which had the potential to make for interesting reading. We are given no idea of the grand scale of the city compared to 1950s Ireland. Although the subject of emigration to America is a subject of particular interest and relevance to Irish readers, Toíbín’s example, Eilis, appears overly normal. For most of the novel we must endure everyday stories from a mundane and ordinary life, working in a shop and studying part-time. Toíbín, however, does subtly and cleverly introduce several social issues, which would have been affecting New York at the time, such as the treatment of immigrants in the country and in particular the beginning of equal rights for African-Americans in New York. However, the main criticism with this novel is how the dilemma is dealt with at the conclusion of the novel. The dilemma of whether or not Eilis should return to New York is the main moral conundrum of the book and it seems, in this case, that it is dealt with rather poorly. The ending is quite rushed and some of the important characters are never really given the chance to naturally develop. Not the best work from an otherwise talented writer.